I love good causes, especially when they happen locally. And if it's a cause that involves artistic expression, even better! 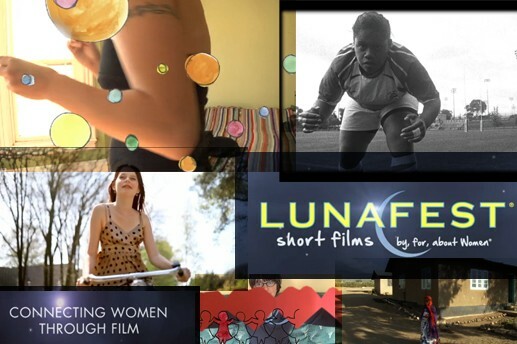 "A traveling film festival of award-winning short films by, for, and about women. This season’s program of nine selected films are united by a common thread of exceptional storytelling that will compel discussion, make you laugh, tug at your heartstrings, and motivate you to make a difference in your community. Incredibly diverse in style and content, LUNAFEST will inspire and empower you to take action to help prevent and stop breast cancer before it starts!" 5pm-6pm- ART STOMP Art Preview, Refreshments, Raffle and Musical Intro by Laura Roppe, author of “Rockin’ the Pink”. 8:30- Live music by "Cool Band Luke" at D Street Bar and Grill! Whooohooo! I plan on attending to support this great effort and to be inspired by women doing the same. Not only that, but it's a great excuse to round up the girls for a night out. Join me!